If you are looking for a reliable private investigator company that can guarantee high quality service, you have come to the right place! 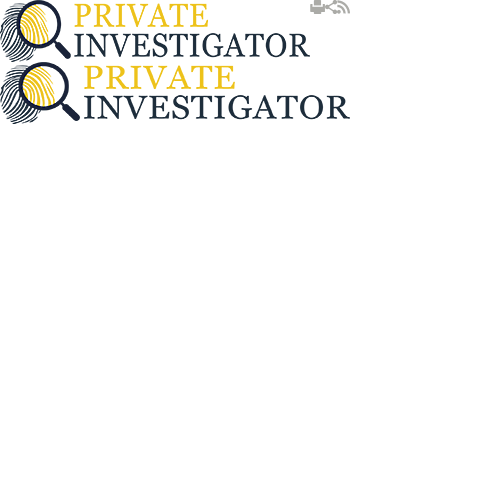 Private Investigator will help you clear your doubts once and for all and discover if someone is on to get you. Our company provides counter surveillance services and brings backs your invaded privacy. We are fully capable of detecting listening devices and debugging the area, regardless of the environment or the equipment being used. To be able to do this we use the most sophisticated counter surveillance equipment available on the market and we always make sure we keep up with the latest developments to ensure the best results. As part of our job we locate all types of listening electronic gadget including but not limited to phones, taps, hidden cameras, radio and even devices that emit microwaves. The services we offer have proven to be crucial for protecting the privacy of many individuals and companies. With our counter surveillance techniques we manage to protect the confidential information that people are not willing to share with the public. In recent years the demand for our services has significantly increased simply because nowadays it is very easy to purchase a listening device and place it in someone's home, office or vehicle, hassle free. Most people do not need to have any previous experience dealing with this type of devices as they come with detailed instructions that anyone can understand. This makes it easy for any stalker or a business competitor to take a glimpse at your private life. We have a team of exceptional counter surveillance private investigators that have a rather specific set of skills which allows them to provide fast and accurate results for everyone in need of their services. The work we do is strictly confidential thus we are able to detect and remove the listening devices without anyone noticing we were ever there. Since we live in a time with a very fast pace and we see new technology every day, staying competitive is quite tricky. However, thanks to our efforts and dedication we manage to stay on the top of the game. We perform TSCM (Technical surveillance counter measures) applying most advanced methods and using only proven techniques that we know will provide the expected results. Here are some things you need to know about the listening devices we detect and the work we do. Every electronic device which is attached to your phone or phone line used to transmit or record your conversation is called a hardware bug. This device operates with the help of the phone or the line that empowers and charges the bug. Since these bugs are activated usually during a call, they can be very hard to detect. In addition to that they are very small in size and can be easily placed almost anywhere. We often find these bugs in phone, on the phone line and sometimes even attached to the central telephone system. In cases when the bug intercepts the line somewhere outside of your building or for more experienced intruders in the junction box, it makes it difficult for us to trace it. There are many different types of counter surveillance devices that can reveal your secrets to the world. Those devices that work on RF transmitter usually send the signals to the eavesdropper simply through the air. These signals can be detected only with counter surveillance equipment that intercepts them in the moment they are transmitted. As previously mentioned with the technology we have today and the global market people can easily purchase many different listening devices. Most of these devices can be bought at a descent price and installed relatively quickly. They can put the bug in the conference room and listen to every conversation and learn about the new products or services you have. In many cases we have even found the devices in the personnel department where someone was trying to find out more details about the other people working in the company. These electronic gadgets probably have the longest range of all. In order for them to work properly they need to be placed through a window or other opening. The person who is trying to spy on you can set up the equipment on a tripod and simply connect everything to a transmitter. Then they can be even miles away from you but using the bug they can intercept your information. They will just use the laser or the infrared beam, direct it towards the room from any distance and enjoy the show. The laser will then collect any audio signals that are transmitted and will transform them into data then will be transported to the sender of the beam. In most cases the person which receives these beams uses a recorder which is connected to the listening equipment and enables them to record all information and review them at a later stage.